Halifax Regional Municipality’s mission is about taking pride in providing high-quality public service to benefit their citizens. This mission covers a variety of Council priority areas which includes transit. Halifax Transit supports approximately 25 million transit riders annually. It owns and operates 360 buses, as well as 5 Ferries. With an annual operating budget of $115 million, Halifax Transit employs a workforce of over 930 employees and services two transit facilities, three ferry terminals, 11 bus terminals and 16 Park-n-Ride lots. With significant investments being made to technology and upgraded facilities and services, Halifax Transit intends to offer residents a significantly improved transit service. Guided by principles of integrated mobility, high ridership opportunity and future sustainability, Halifax Transit is undertaking a multi-year initiative that includes a holistic and comprehensive review of the transit system and the implementation of approved recommendations. Reporting to the Director, the Manager, Transit Operations is responsible and accountable for leading the delivery of high quality, safe, sustainable, effective and efficient transit services to the public. As a critical member of the Halifax Transit management team, you will contribute to the development of all aspects of Halifax Transit’s overall strategy and to the efficient, safe, professional and coordinated delivery of all operational and customer services. You will have general oversight of a workforce of approximately 650 including professional, technical, and unionized employees, as well as Halifax Transit’s security program which ensures the safety and security of Halifax Transit’s employees, facilities and the traveling public. You will build and maintain productive relationships with provincial and federal agencies and regulators, as well as external stakeholders, internal HRM departments and Regional Council and be accountable for ensuring adherence to all legislated Act and Regulations, collective agreements, corporate policies and operating procedures. You will lead by example in helping to enhance Halifax Transit’s public profile, in promoting its commitment to optimum customer service, continuous improvement and in the accomplishment of all short and long-term goals. The ideal candidate is a dynamic operations leader who has led organizational change collaboratively, and consistently balances responsibility and accountability with a drive for delivering results. You will have approximately 7-10 years of experience as a senior leader within a large organization or division within a complex 24/7 operational environment, experience working in a unionized environment, as well as a post secondary degree. You are a respected strategic leader with superior communication and relationship building skills and have a proven ability to clearly articulate an operational strategy. You can influence, gently persuade, generate and debate ideas and state your professional opinion. You can identify, understand, and anticipate evolving needs and priorities and can implement actions which take advantage of opportunities for improving operational performance. You are process oriented, use evidence-based decision making and are proficient in cost management and budgeting; have well-honed professional presentation skills, strong detail orientation and good analytical, problem solving and decision-making skills; ability to work collaboratively, particularly with external stakeholders and public-sector partners. You have a natural client services orientation and you are diplomatic, flexible, patient, responsive and a good listener. You strongly encourage professional development through delegation, coaching, mentoring, teamwork, training and succession planning and you build collegial relationships with your colleagues and all employees. You are confident, energetic and passionate about providing optimum customer service. Good knowledge and understanding of public transit systems would be an asset. 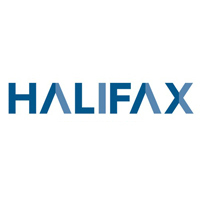 Halifax Regional Municipality encourages applications from qualified African Nova Scotians, racially visible persons, women in non-traditional positions, persons with disabilities and Aboriginal persons in the workplace. HRM encourages applicants to self-identify. If you’re interested in this opportunity, contact Erica Armstrong or Jeff Forbes at (902) 421-2009, or please apply online by clicking “Add to List” below, then “Apply Now” on the next page.